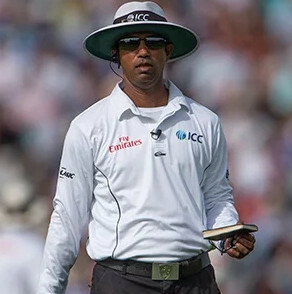 Colombo, Jan 22 (newsin.asia) – Sri Lankan umpire Kumar Dharmasena has won the David Shepherd Trophy for ICC Umpire of the Year 2018 for the second time. “I would like to thank my wife for being the strength behind my achievements and also my kids for their support and understanding. I would like to thank Mr. Peter Manuel, my coach, for his guidance from the start of my umpiring career, together with all the other coaches from ICC and Sri Lanka Cricket. I take this opportunity to thank all my fellow colleagues for all the encouragement and support over the years, without which this would not have been possible.”The ICC Awards have honored some of the biggest names in international cricket. The awards are voted by a specially selected academy. Rohit Sharma, Jonny Bairstow, Virat Kohli (c), Joe Root, Ross Taylor, Jos Buttler (wk), Ben Stokes, Mustaifizur Rahman, Rashid Khan, Umesh Yadav, Jasprit Bumrah.